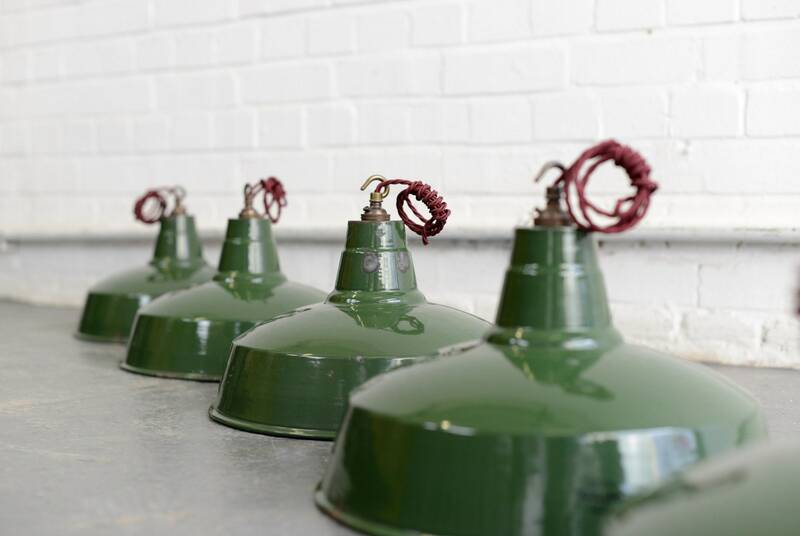 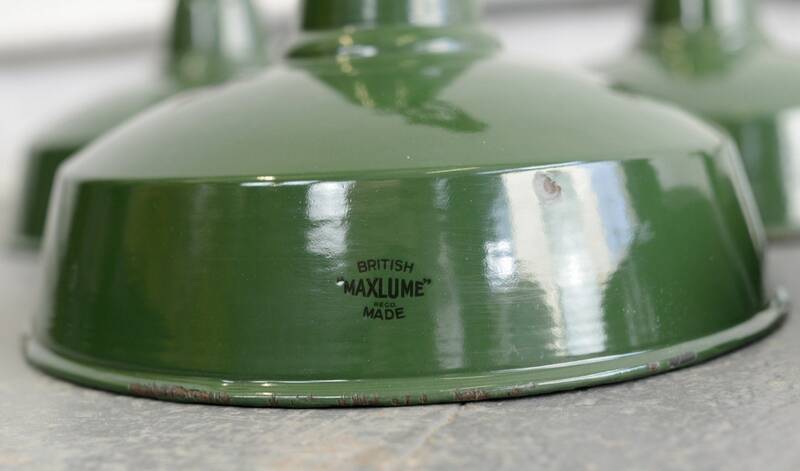 Maxlume was established during the 1920s in Birmingham, England, manufacturing a large range of lighting fixtures. 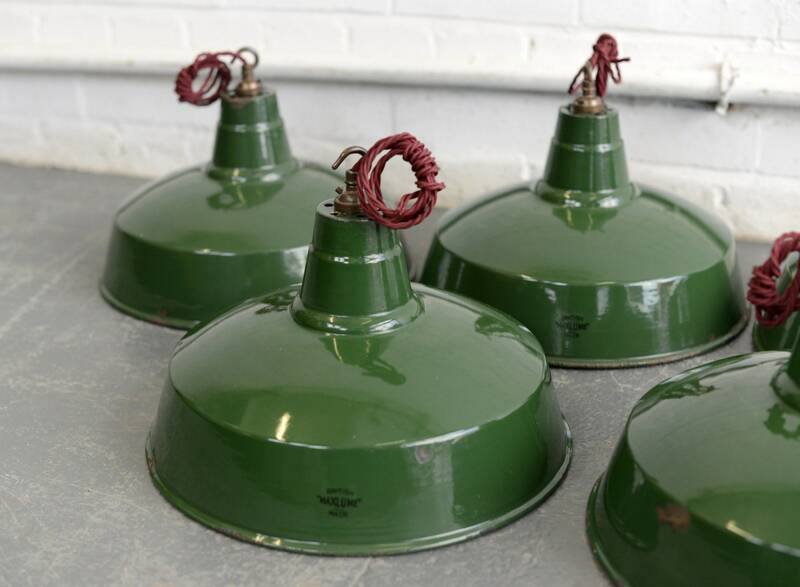 During the pre war and post war years the company expanded rapidly By the mid 1950s the company had been taken over by Verity’s, although the lights were still manufactured under the registered Maxlume mark. 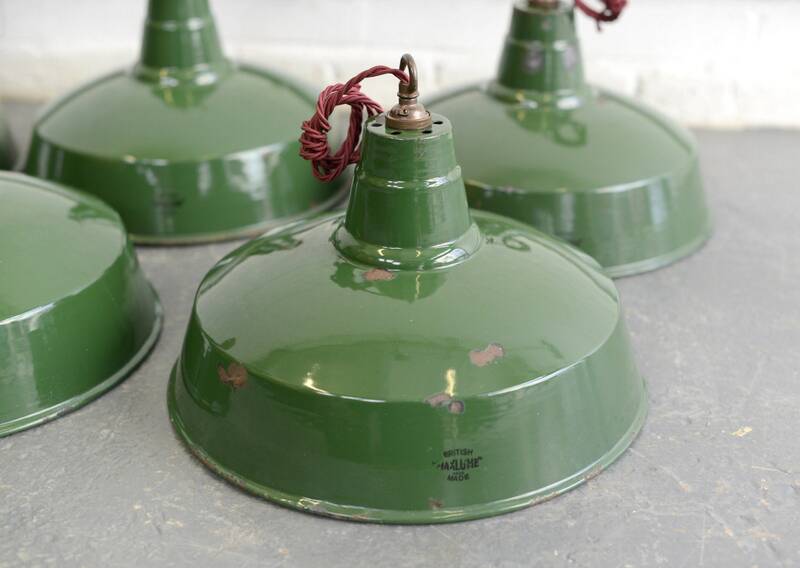 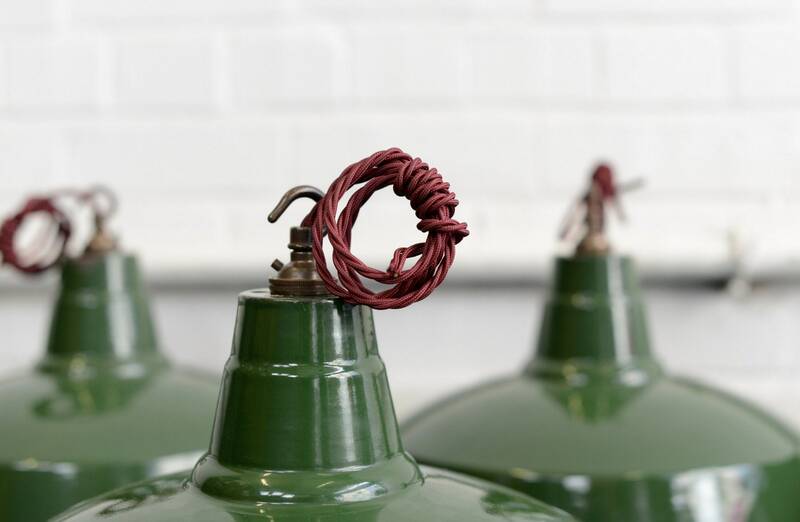 Fully re wired with modern British made electrical components, each shade will show signs of cosmetic wear inside and out in the form of rust spots and chips to the enamel. 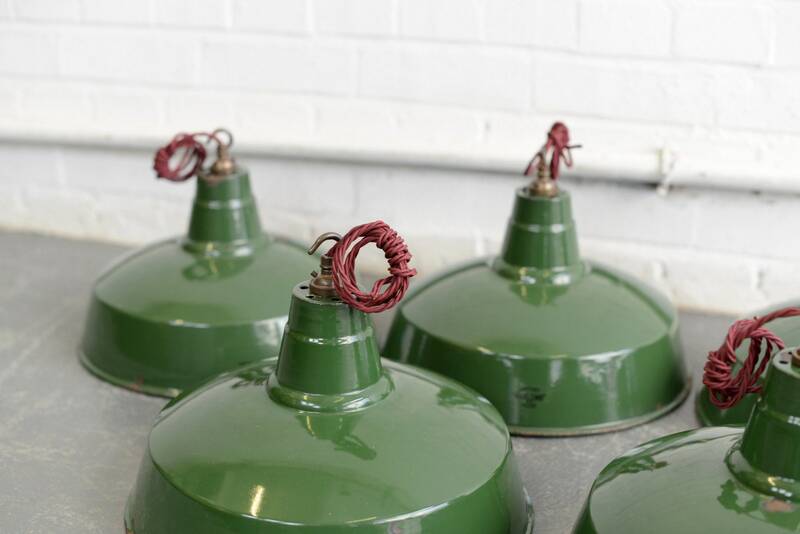 As with all of our products this product is an original piece and has lived a life before it arrived at Otto's HQ. 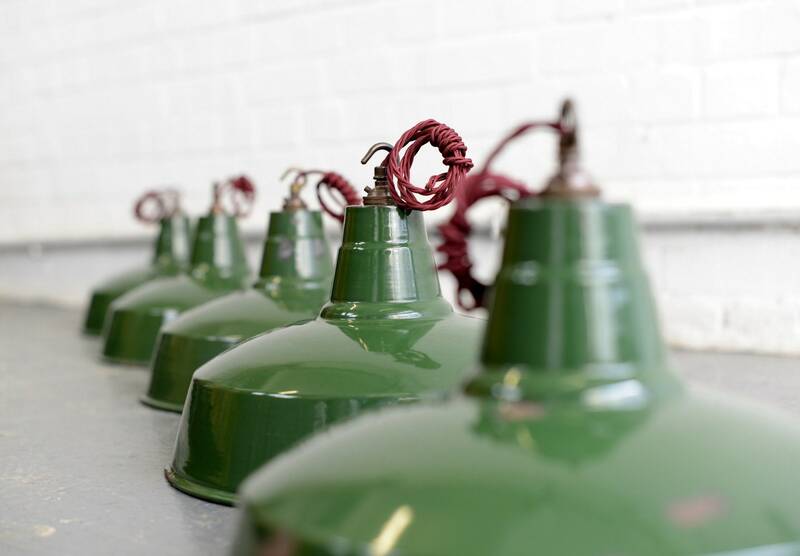 It has been sympathetically restored by the Otto's team to ensure it has a life for many more years to come. 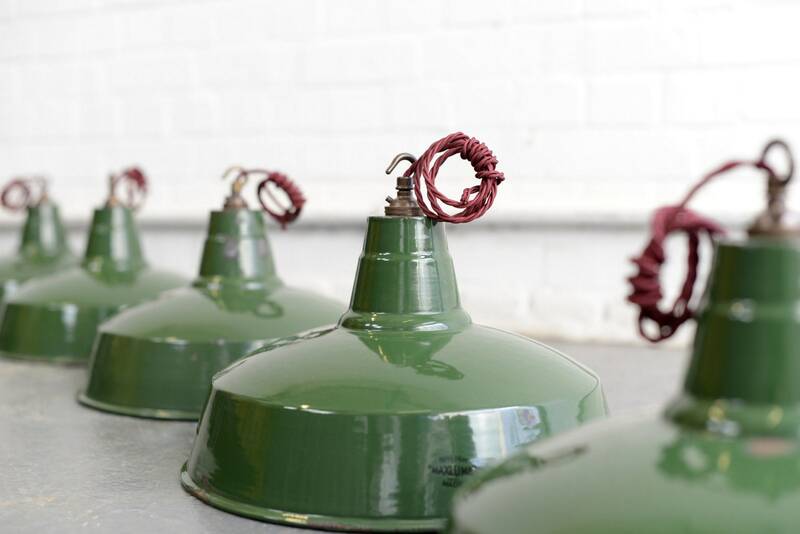 All of our products will show signs of patina and cosmetic wear, this we believe is what gives our products their unique charm. 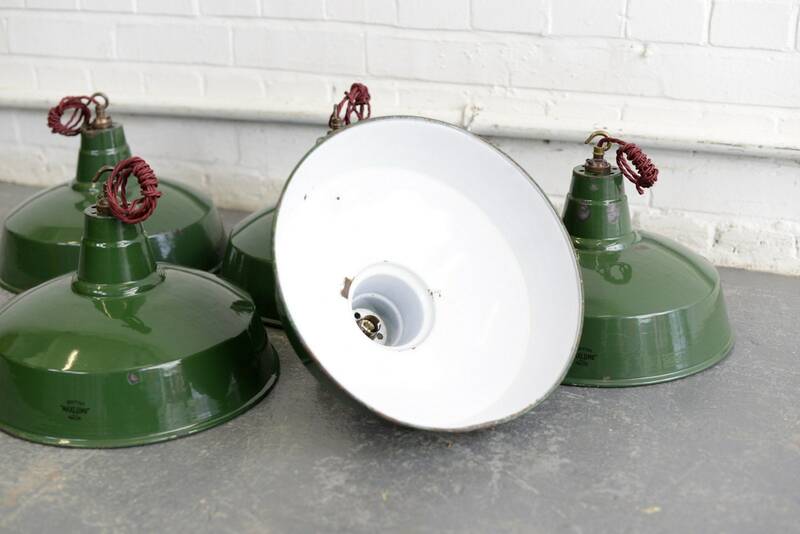 If you have any further questions regarding the condition of this product or any others please don't hesitate to contact us and we'll be happy to answer any questions you may have.